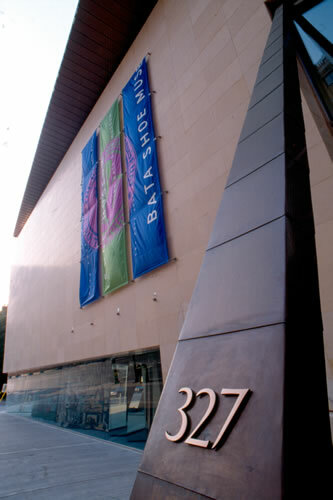 The Bata Shoe Museum. Photo by Sue Frause. I've only been to Toronto once, but I already have a favorite spot: The Bata Shoe Museum. The award-winning building houses a huge collection of footwear from all walks of life. Inside are more than 4,500 years of history and a collection of 20th century celebrity shoes in the exhibition, All About Shoes. Artifacts range from Chinese bound foot shoes and ancient Egyptian sandals to chestnut-crushing clogs and moon boots.Three additional galleries feature special exhibitions. If you can't visit in person, no worries. The All About Shoes Online Exhibition is a comprehensive overview of the museum.